The Global Philanthropy Forum is for executives from private, public and corporate foundations and those who have made a “significant commitment” to philanthropy across the world. Past speakers include Archbishop Desmond Tutu, Google co-founders Larry Page and Sergey Brin, former UK Prime Minister Tony Blair and US Secretary of State Hillary Clinton. The event is invite-only, but you can nominate a leader you think would benefit from the forum and the lifelong connections that could be made there. 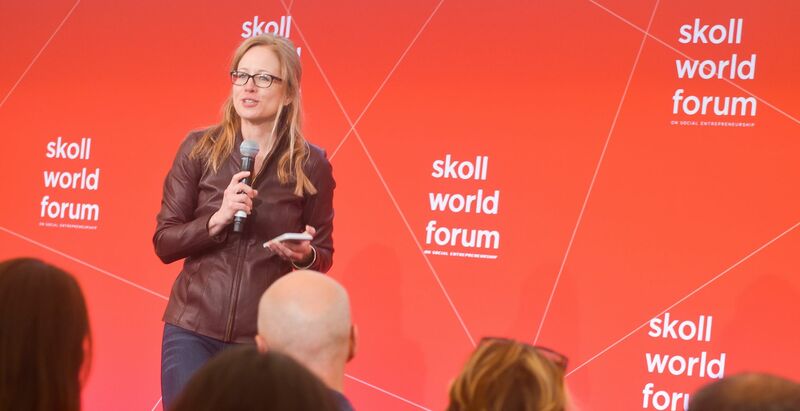 Skoll shines a spotlight on new innovations and best practices in the field of social entrepreneurship, connecting leaders so they can accelerate global social progress. The four-day programme includes workshops, panels, discussions, film screenings and more, with previous celebrity attendees including Sir Richard Branson, Charlize Theron and Bono. The forum is primarily invite-only, but Skoll also accepts applications. The Social Innovation Summit, which is in LA for the first time this year, is for “black swans and wayward thinkers” who want to explore “the next big idea” and drive cross-sector partnerships and long-term social impact. The summit includes talks, boardroom workshops and shows over two days, covering everything from philanthropic trends to new methods of engaging with social challenges. Funders and resource providers worldwide will descend on Singapore to join what’s said to be the “largest gathering of social investors in Asia” at the Asia Venture Philanthropy Network’s annual conference. AVPN, which is “committed to building a vibrant and high-impact social investment community across Asia,” is the organisation behind the conference, which is now in its seventh year. The 2018 conference focused on the theme of “maximising impact” and was geared towards creating collaborations and knowledge sharing. The annual One Young World Summit features young leaders from the worlds of business, government and academia. Attendees, who are mostly under 30, come together to discuss challenging global issues and hear from inspirational thought leaders. Past speakers include Canadian Prime Minister Justin Trudeau and philanthropic rock star Bob Geldof.